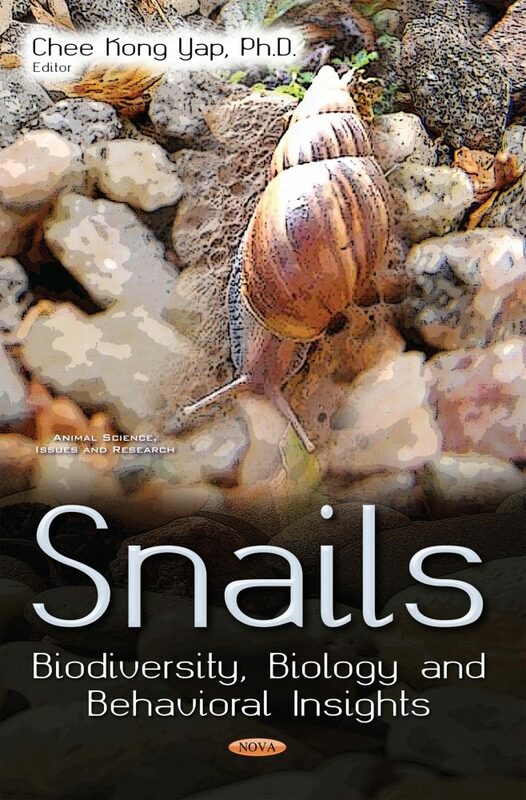 The purpose of this book is to provide specific, updated information concerning the topic of snail diversity, snail biology and snail behaviours. The intended readers of this book include researchers, academicians and university students. This book contains ten chapters, the first three focusing on biodiversity. Chapter One presents the values of a wide spectrum of snail biodiversity. Chapter Two reviews snail biodiversity based on 45 reported publications, from 1991 until 2016, covering most of the ecoregions. Chapter Three also reviewed the current geographical distribution of marine snails along the Persian Gulf and Oman Sea, based on 42 publications. Chapters Four, Five and Six are concerned with snail behaviours ranging from sensitivity to metal exposure, and the effects of botanical pesticides on neural activity patterns. Chapter Four presents the toxicity test of Cd and Cu by using two different sized groups of Pomacea insularum as test subjects. Chapter Five presents information concerning methanol extracts of plants; they were more susceptible to be used as botanical pesticides for controlling the golden apple snail. Chapter Six gives a comprehensive overview of the nervous system as well as individual neurons in the pond snail. Chapters Seven through Ten consider environmental biomonitoring. Chapter Seven presents the allometric data and concentrations of heavy metals in the total soft tissues of the mud-flat snail. Chapter Eight reviews and cites nickel (Ni) concentrations in the total soft tissues of the mangrove snail. Chapter Nine presents concentrations of four heavy metals in the edible snails from three selected sites in Peninsular Malaysia. Chapter Ten presents concentrations of five heavy metals in five taxa of intertidal snails. Audience: For academicians, lectures, undergraduates, postgraduates, policy-makers, teachers. For non-professional people, this book could be as an introductory information about snail biodiversity, its biological insights and biomonitoring.